Looking for a fuel-efficient SUV to handle your Lakeland commute? The 2019 Chevy Traverse MPG will generate an EPA-estimated 18 city and 27 highway mpg*, allowing you to travel more often without stopping for gas. Explore the Chevrolet Traverse performance features below before heading to Chevrolet Center to see how one handles on the roads. 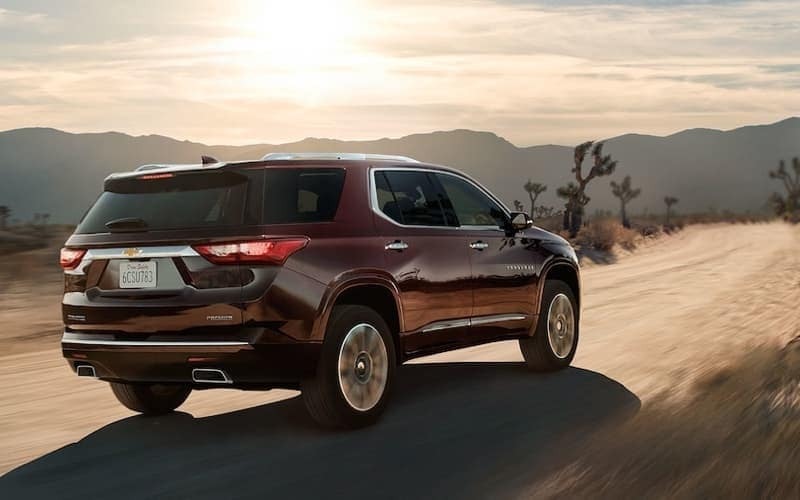 The 2019 Chevy Traverse fuel efficient features were added to intentionally help ensure you can travel longer without needing to fuel up. From different driving modes to engine technology, explore the fuel-efficient features you can find on this Chevy SUV. In addition to fuel-efficient features, the Chevy Traverse performance features are also noteworthy and help promote and efficient drive. With a powerful standard engine to overall strength, this vehicle will be the one you’ll want with you on the roads. If you’re looking for a Chevy Traverse for sale near Davenport, head to Chevrolet Center. We have a new and pre-owned Traverse inventory that will allow you to find the right model for you. Compare the Chevy Traverse vs. GMC Acadia to check out the competition, and when you’re ready to experience life behind the wheel of an efficient Chevy SUV, let us know. Contact our Chevy dealership in Lakeland today to schedule your test drive or to find out more about our current Chevy lease specials.